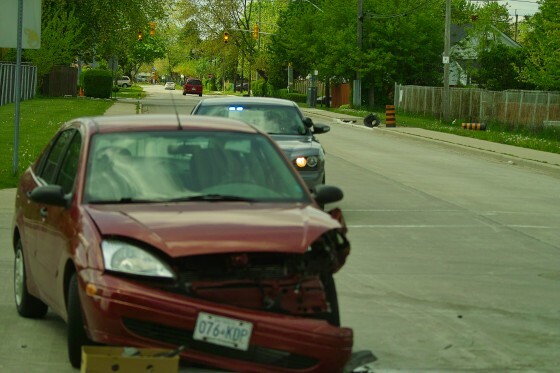 As mentioned in the earlier post, an erratic driver, driving a 2005 beige Honda, Ontario license plate AWDD 837, was reported to be driving very erratically by multiple people in the east end of Windsor early Thursday afternoon. 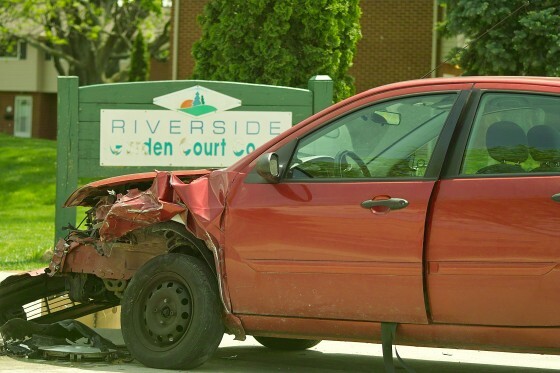 See “Windsor Police on the Hunt for Erratic, Hit and Run Driver” article for full details. Around 12:30pm, the same suspect car struck the front end of a red Ford Focus on Raymond Street at Garden Court. The driver of the Honda immediately drove off, with no regard for well being of the driver of the Focus. It just so happens that a grade school was located right next to the scene of the accident. 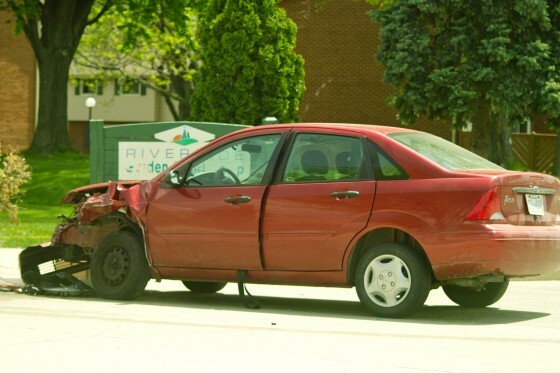 Windsor Police on scene confirmed that the driver of the red Focus had been injured and taken to hospital. The injuries sustained were said to be non-life threatening. The fate of the driver of the Honda remains unknown. 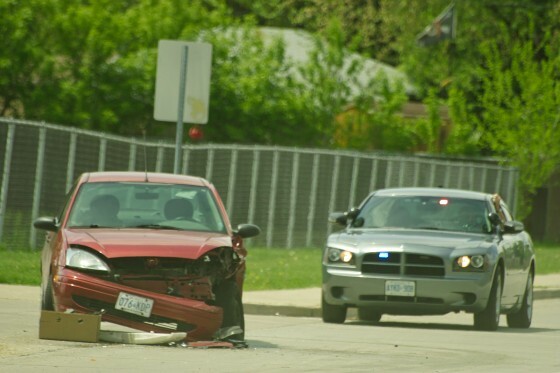 A Windsor Police traffic unit guards the crime scene as other units hunt for the erratic driver.